Q. Why does Shugar Soapworks use palm oil instead of tallow? A. We believe that our sustainably grown, natural palm oil is a far superior product for our soaps and for you. Unlike soaps made with tallow (animal-fat), we don’t have to mask unpleasant odors with heavy perfumes or harsh chemicals. As a result, our pure, long-lasting soaps always deliver delightfully light scents, which come to life under warm water. Because its natural, our palm oil soap has a rich, creamy, healthy lather and will never discolor. Palm oil has been known for its health benefits for centuries, many of which come from its high levels of the hard to find toctrienols, which are members of the vitamin E family known to rejuvenate the skin. 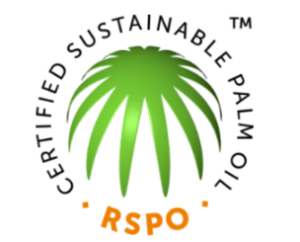 And, at Shugar, we only use palm oil soap certified as sustainable by the RSPO. For us it’s the natural choice!